One of the benefits of holidays and being away from our home is that sometimes you can take a step back and review things from a distance. A few months ago I considered buying a new doona cover for our bed since the one we have had for over 10 years definitely does not match the current colour scheme. It has been like that for about 4 years but it had taken me that long to consider it. One of the things that was holding me back was why get rid of the existing cover which is still in excellent condition. 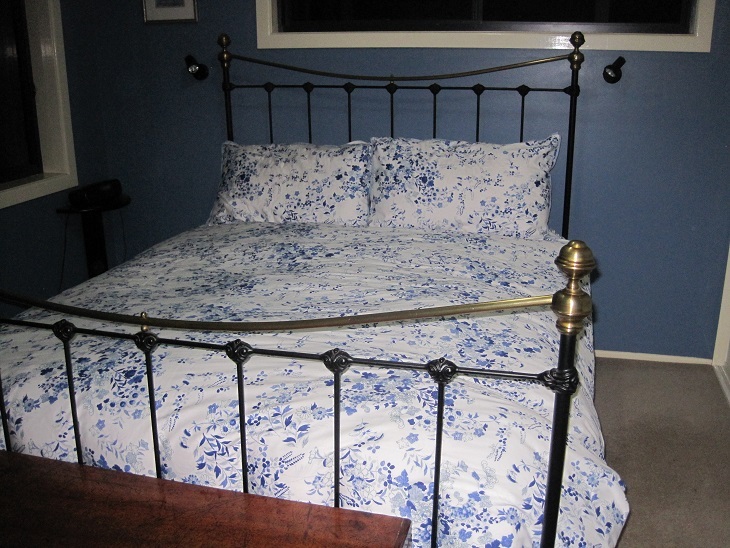 While we were away I suddenly realised that the doona cover on our bed would look perfect on the bed in the guest room and then I could justify buying a new one for our bed. 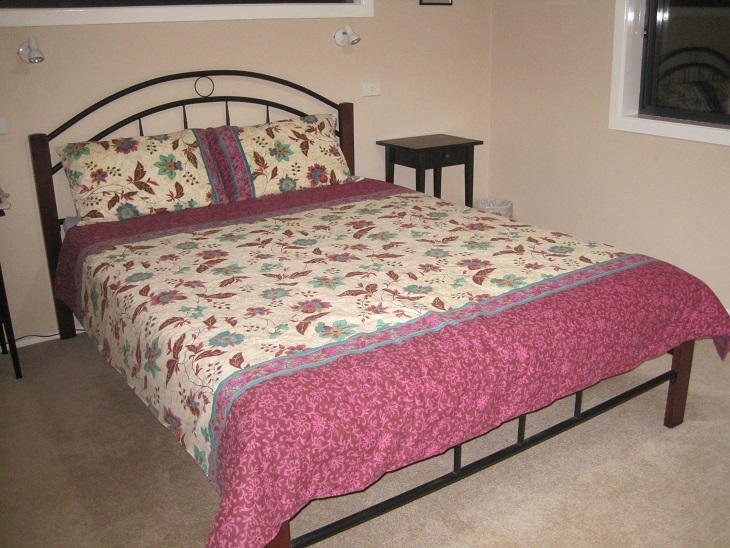 Here is the revamped guest room. On Wednesday we looked for a new cover which proved to be quite a challenge as it is obvious that the colours in our room (Wedgewood blue with cream trim) are definitely not the latest trend. Most of the bed linen was either neutrals in cream/grey/coffee palettes or bright geometric designs. However, I eventually found something suitable. I also bought another cover in a grape colour with a muted floral design. I will use that during the winter months for a change. This is the first time that I have ever had bed linen to change with the seasons. Thanks to the sale prices, I was able to buy the 2 covers for the full price of just one of them. I am very happy with the results of my rearrangement of the bed linen. Now I have the bedspread which was on the guest bed to put away in the linen cupboard while I consider its fate. Most of our furnishings/colours are relatively classic and are chosen because they are what we like rather than what is this year’s “must have”. This can make things difficult at times, especially when you are looking for a colour or design that is not ‘in’. Do you follow the latest trends in interior design or are you happy with what you have? Any tips for updating on a budget?